With many businesses trying to go “green" and become more organized, a paperless office is the ideal. Payroll and its assorted paperwork can be the one area in a business that can keep that dream from becoming a reality. As more employees are opting for electronic forms of payment such as direct deposit or pay cards, many businesses are trying to decide if they should use electronic pay stubs. 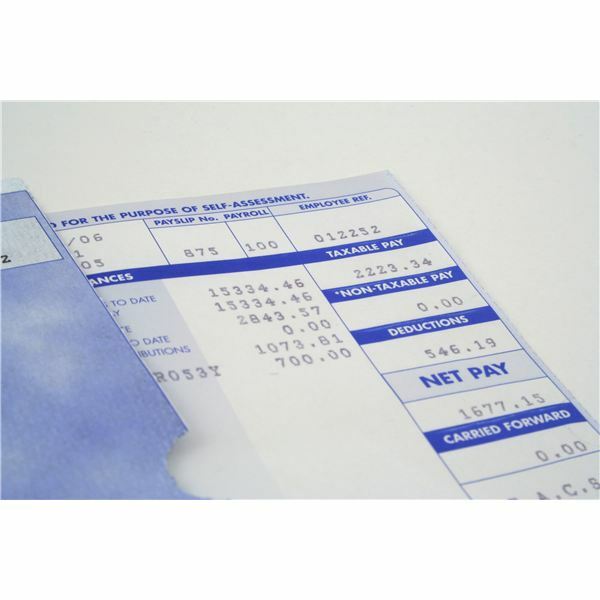 Most payroll and electronic payroll services calculate the cost of a paper stub to be around $1.90. This number represents the costs for most businesses with a dedicated payroll staff that mails the pay stubs to direct deposit employees. If a small business’ payroll is prepared by one person, a few hours a week and they are hand distributed to the employees, then the paper stub costs would be greatly reduced. A company would need to take this into consideration before determining the cost cutting benefit of electronic stubs. While all states allow the use of electronic stubs as a substitute for paper, there may be restrictions. For example in Iowa, an employer can issue electronic pay statements, but they must give their employees unrestricted access to a printer to print the statement if the employee chooses. Some states such as Connecticut require employees to opt-in to receive their stubs electronically. In Delaware an employee must be able to opt-out of receiving a stub electronically, at any time. Since each state has different conditions that allow companies to use electronic pay stubs, it’s best to check with the local Department of Labor to ensure company compliance with the current regulations. It can be easily said that most Americans have access to a computer and the internet. But many still do not have that access at home. In March 2010 when the federal government made electronic stubs the default for employees of many government agencies, this was a concern voiced by a spokesman for the American Federation of Government Employees. As stated in an article on GovernmentExecutive.com, although the union was supportive, they said the concerns of employees without computer access needed to be addressed. That same concern would be voiced by many small business employees who are not able to access a computer at home, or would have to pay for the opportunity to print their stub. For those living in states that require access to printing, this is not a concern, but many states do not have this type of requirement. The success of a company’s electronic payroll program may hinge on the level of comfort most employees feel with the change. By educating employees beforehand on the different kinds of pay stubs, and answering any questions and concerns, a company may be able to successful transition to a near paperless payroll system. But since many states to allow employees to opt-out, there still may be a need for paper pay stubs.